If you are in Sydney, then a harbour boat cruise is a must. Cruising the harbour waters, Sydney Harbour boat cruises are the best way to see and experience the majestic sights of Sydney. Take in the magnificent Opera House and the awe-inspiring Sydney Harbour Bridge from the decks of a luxury boat as you cruise on Sydney Harbour. There are numerous options for boat cruises in Sydney making the harbour a busy place during the day and night. 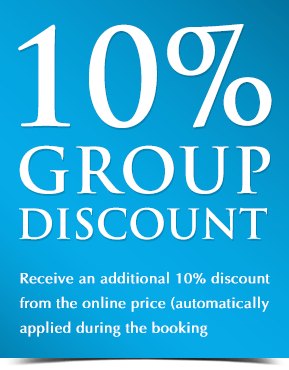 But for the best variety of options choose the Australian Cruise Group vessels that offer dining cruises, popular event cruises and party boat cruises on Sydney Harbour! With a diverse and well-maintained fleet of luxury boats, Australian Cruise Group is the premier cruise operator on Sydney Harbour. If you seek the latest in style and comfort, then the catamaran Magistic Two will be up your alley with its sleek modern lines and design. The workhorse of the ACG fleet, Magistic does the daily grind of sightseeing as well as dining cruises. With expansive decks offering great views of Sydney’s sights and ample picture-perfect photo opportunities, there is no scope for overcrowding at all. Old-world charm never goes out of style and booked-out cruises on Sydney Showboats is a testament to this fact. 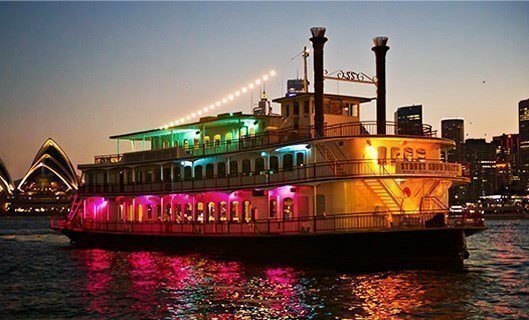 A paddlewheeler with yester-year charm and all the modern luxuries and comfort, Sydney Showboats dinner cruise is an experience like no other. Restaurant-style dining is another key element of the Showboat experience, reserved tables and a three-course meal served to your table. All these are but a prelude to the highlight of Showboat, which is the live 1-hour cabaret show performed by an all-Australian cast. Last, but not the least is Clearview Cruises, a fleet of glass boats that are synonymous with premium-high-end dining cruises on Sydney Harbour. A glass boat dining cruise gives you the feeling that every seat is a window seat! A multi-course menu with canapés and drinks served on the Sky Deck, the Clearview dining experience is a must try in Sydney! 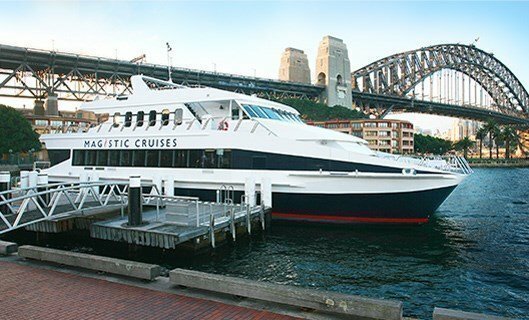 Opt for the Magistic boat cruises on Sydney Harbour for either a sightseeing or a dining cruise. Enjoy million-dollar views on a multi-million-dollar catamaran! The expansive decks ensure enough space for all guests with no overcrowding. 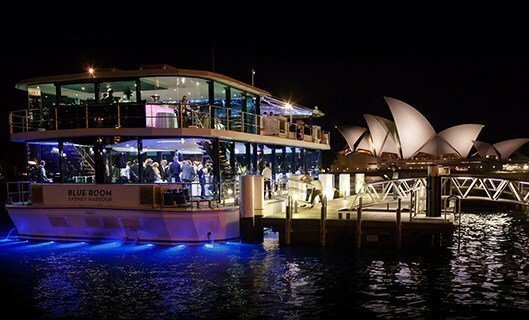 A premium glass boat dining cruise on Sydney Harbour, the Clearview transforms into an elegant party boat cruise venue for Sydney’s New Year’s Eve celebrations! The elegant venue offers 360o views of Sydney Harbour making it a much sought after venue in the city. An authentic paddlewheeler on Sydney Harbour, experience restaurant-quality dining on an elegant boat cruise with all the modern comforts. With a theatre-style layout and stage, the Showboat cruise is also the perfect venue to host award and corporate functions with great stage views from all angles.